This year, students at Sacred Heart Area School will be taking the NWEA (Northwest Evaluation Association online MAP (Measure of Academic Progress) test. MAP assessments are designed to find where each student is at academically and give data that will guide teacher instruction to meet the needs of each individual student. It is an adaptive assessment, which means the testing system adjusts the question to the appropriate level of each individual student based on previous responses. The key factor to this test is that it is given 3 times a year (fall, winter, and spring), measuring the progress they make. Therefore, instead of comparing students to each other, the MAP test compares individual accomplishments. SHAS students’ fall testing window will be the weeks of September 24th and October 1st. We will continue to test our students with standardized tests, which serve a different purpose, each spring. We hope your children are having a wonderful new school year, enjoying their classmates, teachers, and school experience. As we share this year together it is important we communicate often. Always feel free to bring your ideas, concerns, and questions to us without hesitation. Due to new federal guidelines from the Healthy-Hungry Free Kids Act, your children will see big changes with the school’s lunch program this year. Fruits and vegetables will be pushed more, while high starch foods will be limited. The government’s goal is to raise a healthier generation of American children. Let us pray that we are on the right track. To learn more about these changes, search on-line for nutrition standards for school meals. On Wednesday morning, September 19th SHAS K-6 students will receive 20 minutes of bus safety training from bus driver Joan on our large playground. This annual instruction is provided to keep the boys and girls thinking about the dangers involved in getting on and off, and traveling on the bus. Don’t forget! Picture day is also Wednesday. Next Friday, September 21st, Sacred Heart Area School, along with the entire district, will be conducting its annual evacuation drill. This drill is done to prepare our schools to evacuate in short time, if an actual threat was present in our buildings. As part of this drill, SHAS students will assemble in the church basement at 3pm. At 3:05pm, the High School students will be dismissed for the drill. As it has been done for many years, half of these high school students will share the church basement with us. At approximately 3:15pm, our students will be dismissed from the church basement to load busses, which will be parked along 4th street next to the community center and football field. The High School students will then follow. In the next week, you will receive more information, along with requests for information of where you would want your child(ren) delivered by bus if there was an actual evacuation, and where you want your children to actually go on the day of the drill. Please complete these sheets and return them as soon as possible so we can plan for Friday’s event. If for some reason you do not want your child to participate in this drill, you will want to arrange for them to be picked up by 2:50pm. Have a blessed week! The season of Lent is a great time to reflect on strengthening our relationship with God. If we work at it together, it should also strengthen our relationships with each other, in our families and our friendships. To be the best we can at anything, we need to have faith that God will help us, and knowledge, discipline, and morals in making the right choices, taking the right path, and using our gifts. The many vices we battle each day, otherwise known as the seven deadly sins; wrath (acting out in anger), greed (excessive desires to possess), sloth (laziness and neglecting to care about what we should do), pride (inflated sense of one’s self), envy (resentful emotion from desiring what others have), lust (fantasizing about desires we shouldn’t desire), and gluttony (over indulgence) can damage or destroy our relations with God and others. Broken marriages, destroyed careers, and the absence of peace in our souls is the wreckage left behind. Reflecting on these seven “gifts of the devil”, we can see the role they have played in destroying many cherished relations in our lives. However, by instead embracing the seven gifts of the Holy Spirit; wisdom (finding God in all things and appreciating the dignity of others), understanding (to comprehend how we need to live), counsel/right judgment (knowing right from wrong), fortitude (courage to do and stand up for what is right), knowledge (understanding the meaning of God), piety (pay duty and worship to God with humility, trust, and love), and fear of the Lord (wonder and awe), we have a great deal of hope for a bright future. During these last weeks of Lent and beyond, seeking help from the Holy Spirit, work closely with your families to make them stronger than ever. Our families are worth it! This is what we embrace here at Sacred Heart Area School, instilling these truths in each other as we share our lives together. With Christ at the center of our lives, we can build foundations for a lifetime of fulfillment, happiness, and success. God bless you and your family. This past year, our teachers have been studying and comparing the Minnesota Academic Standards for math and language arts, and more recently in science, to the standards of the St. Cloud Diocese. Although many similarities were found, the more recently revised Minnesota Standards seemed superior in many ways. They were more up-to-date with the latest trends in education, more integrated across subjects, and challenged students to think more critically and creatively. They also fit well into our curriculum. The recently adopted Minnesota science standards also incorporate a new category. In addition to Earth and Space, Life, and Physical, the category, or strand, called the Nature of Science and Engineering was added, which is oriented to developing careers. Not to many years ago, our Diocesan Standards, adopted in 2001, were the superior standards. We will certainly keep our religion standards from the diocese, but for now we are planning on officially adopting the Minnesota Standards for language arts, math, science, and social studies for the 2012-2013 school year. Be sure of this, that this does not change our identity as a faith based Catholic school. Most schools in the diocese are considering or have switched over to the Minnesota Standards to various degrees. We want parents to have the opportunity to address any thoughts or concerns before we do so. Please share with us any likes, dislikes or uncertainties that you may have, before we go forward with this formal adoption. Our world is changing quickly with so many rapid advances. It only makes sense that the standards we set for our children change to meet the changes of their world. 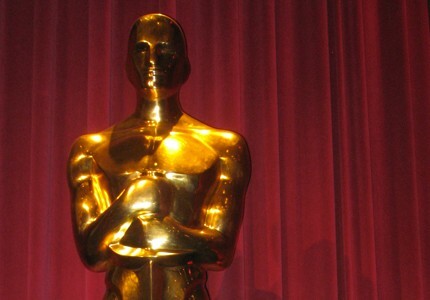 It’s Oscars time again! 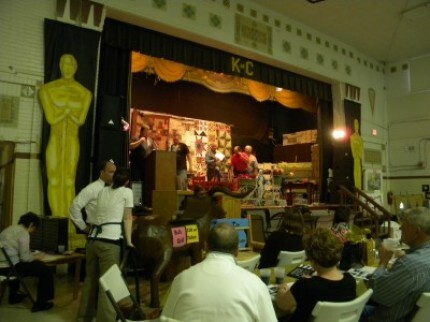 This year’s Spring Blast, “Hollywood Red Carpet”, will be held at the SHAS gym on April 14th. We are anticipating the most exciting event yet, with such an upbeat, fun theme. Be sure to join us for an elegant night on the town, without long lines at the airport or traffic jams on the freeway. Dinner will be served at 6pm, with the auction to follow. Call the school for details. A busy day at the duck pond. The Sacred Heart Area School Carnival was a fun time for boys, girls, young and old, with plenty of fun games and tasty food. All of this was made possible by the parishioners, school families, school staff, and members of the community that donated so much of their time, talents, and treasures. We want to especially want to recognize our carnival chair Ms. Heather Rinke (SHAS preschool teacher) and our carnival dinner chair Denise Brown (SHAS parent) for all their efforts in the organizing the event. 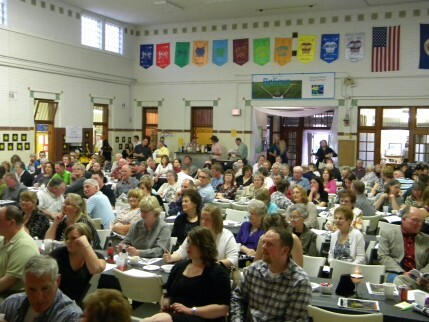 The dinner, carnival, and raffle tickets rose over $24,000 for the continued operation of the school. Nearly $17,000 of that was from raffle ticket sales made by our families. Thank you to all our parents who attended our Special Parent Meeting last night! There was a lot of information shared regarding the survey for parents’ interest in SHAS having a sixth grade and combined classes. Parents shared a lot of ideas and thoughts on what they want for their children and school. This meeting was an important step in the final decisions to be made on the future structure of our school. Your opinion does matters to us! Items discussed were having a combined class of our smallest classes next year, which are this year’s 3rd and 4th grades classes. Also discussed, due to the 5 year projection of parent interest in sixth grade, was the possibility of continuing sixth grade at Sacred Heart until June 1st of 2014, because of the high interest from this year’s 4th and 5th grade parents. Our surveys show that there is a considerable drop of interest in our younger grades. If you want more information from what was discussed at the meeting or what the results were from the survey, please give us a call or stop by to visit. Catholic Schools Week (CSW) is quickly approaching. 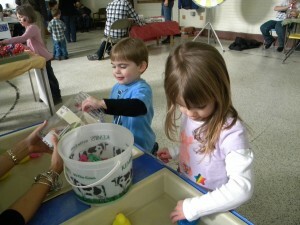 We have a lot of fun experiences scheduled for the children. Details will be sent your way next week. Please consider starting CSW out right by attending one of our kick-off masses scheduled for 5pm on January 28th, at Sacred Heart, and 10:30am on the 29th, at St. Michael’s. We hope your families can make it. Regardless of your denomination, you are all welcome to celebrate and worship together as a school family. Please pray for Grandma Mona Weber and her husband Leonard. Leonard’s health is diminishing. We pray for strength for both of them.